"The stars belong in the deep night sky, and the moon belongs there too, and the winds belong in each place they blow by, and I belong here with you. 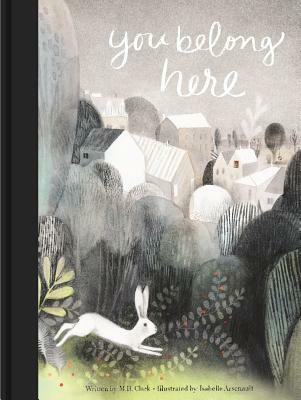 So begins this classic bedtime book, richly illustrated by award-winning artist Isabelle Arsenault. The pages journey around the world, observing plants and animals everywhere, and reminding children that they are right where they belong. A beautiful title for new babies, adoptive families, and children of all ages.